Toronto studio's new desk already used to bring to life Styx vocalist Lawrence Gowan's rock opera 'Dr Starlight And The Watchmaker'. 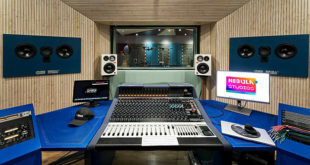 Toronto-based studio Blue Sound & Music has taken delivery of a new Genesys G64, which has already been used to bring to life a rock opera first conceived more than 40 years ago. “I’m loving my G64”, he commented. “It works the way I work. In any given week I’ll go from recording and mixing records to scoring to picture and delivering full mixes as well as stems, mixing TV shows in stereo and 5.1. All these tasks have vastly different delivery specs so it’s great to be able to save my routing templates and recall them in a snap and get to work. I love the combination of the classic vintage tone of the 1073 mic pres and the modern workflow”. The console was recently deployed for Styx front man Lawrence Gowan’s rock opera Dr Starlight And The Watchmaker, originally conceived in the ’70s. 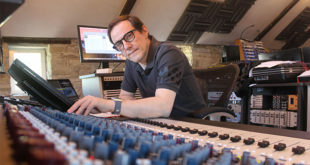 Now his solo project is at the mix stage and features drummers Jerry Morrotta and Todd Sucherman, and bass legend Tony Levin. MacKay remarked that the G64 means he can mix the best of vintage with the leading edge of modern to get exactly what he wants, and fast. He stated: “We’ve been vigilant to make this record sound as it would have in the1970s, using vintage gear and recording to two-inch tape. The track count is huge and the ability to manage them on the Genesys has made it simple. “The tracks are heavily layered with tons of harmony vocals and harmony guitar tracks and all of the vintage keyboard sounds from Mellotron to B-3 to Moog to Oberheim and CP70. The combination of the Encore automation and recall of everything including the routing has been indispensable. It means I can build the mix as we are still tracking and jumping from song to song. 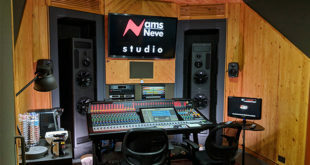 It’s like working at the speed of a DAW but with all the undeniable sonic of the analogue console”. MacKay also noted that the G64 is physically the smallest large-format desk he’s ever owned, but is ‘electronically huge’, with all the facilities you’d expect on any major vintage console right down to listen-back communications and a “red light”.